Knifemaking is in the Klecker genes. Glenn, an engineer with a passion for knife and tool design, knows how to use them firsthand, having led a marine detachment in Desert Storm. Meanwhile, his son Nathan helped build the wooden Nathan’s Knife Kit that teaches kids knife safety. 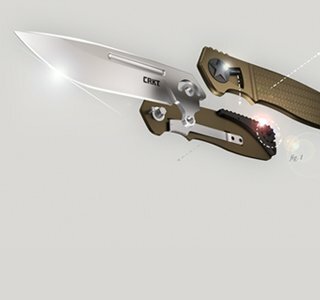 Glenn’s innovative locking mechanism, dubbed the “Klecker Lock,” is featured on several CRKT® production models, including the popular NIRK™ Tighe and Graphite™ knives.